You are invited to the June 21st, 2018 meeting of the San Diego Photo Club featuring Stephen Bay. Meeting location and details are unchanged and can be found here. Sometimes you get lucky and get a great shot right on your first trip out to a new spot. Other times you have to work at it – sometimes a great deal. Stephen has been working on capturing San Diego in natural and urban landscapes since he moved here a few years ago. In his talk, he will take you through the process of how he made some of his favorite images: from initial conception to scouting, planning, shooting, and of course – re-shooting. He will also briefly touch upon his post-processing techniques. 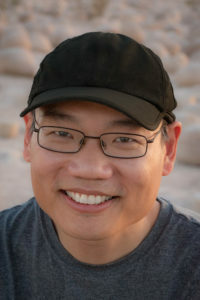 Stephen is a city and landscape photographer living in San Diego. He moved here at the end of 2015, but has have lived in California for 20 years. He was born in Canada and came to the U.S. for graduate school in Computer Science. He then met his wife, adopted a dog, and permanently settled in California. Since moving to San Diego, his focus has been on photographing our beautiful city with its amazing coastlines, cityscapes, and inland mountain & desert regions. His meticulously planned and carefully executed photos have attracted the attention of local media and he won 1st price at the Del Mar Fair with his photo from Sunset Cliffs. Previously, he focused on travel stock and had numerous images appear in books, magazines, and corporate publications. He also published a photo book of Los Angeles, with Twin Lights Publishers. 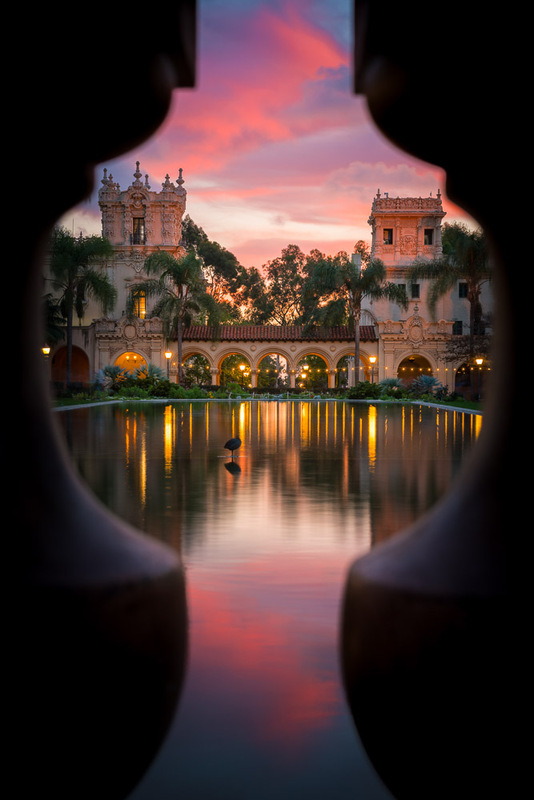 Keyhole view of the Lily Pond in Balboa Park. San Diego, California. Cave at Sunset Cliffs, San Diego. Star trails over the Botanical Building, Balboa Park, San Diego. Sea Cave at sunset, San Diego, California. After the main presentation, we will have a brief intermission where you can pay your Photo Club Membership if you want to join the club and aren’t a member yet, and purchase tickets for our sponsors raffle. Deadline for MemberShare submissions: Wednesday, June 20th, 9pm. Please don’t wait until the very last minute to submit the photos you want to share! We need time to prepare the image presentation. As always, our club meetings are open to the general public. Please invite your friends to join us for an informative and great evening! Find more information here: Meeting Location and Details. Don’t forget, with your 2018 Membership you will receive one raffle ticket each month for free! You can purchase additional tickets for $1.00.